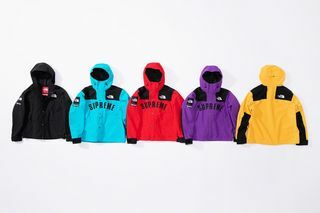 Key Pieces: The Mountain Parka and Mountain Pant are the collection standouts. 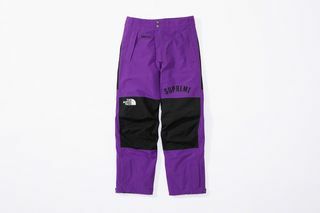 Not only are they fully functional thanks to GORE-TEX weatherproofing and sealed seams, but they look sick in all colorways thanks to contrasting black patch detailing and bold arc logo. 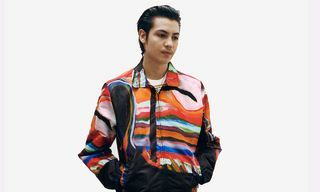 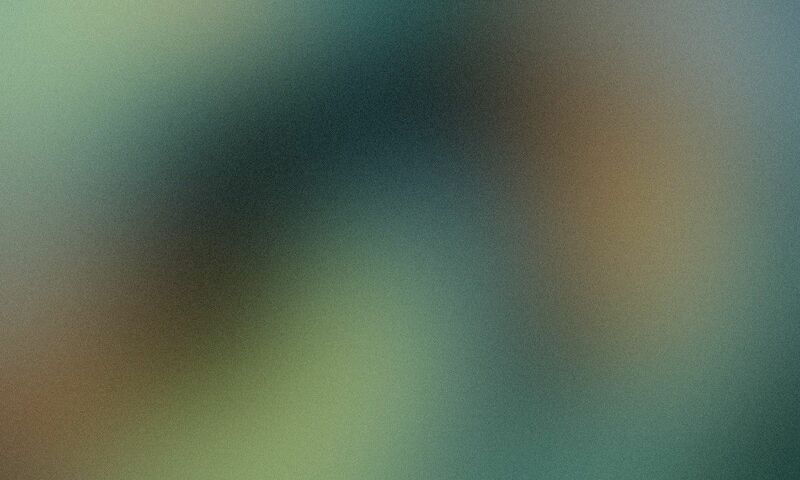 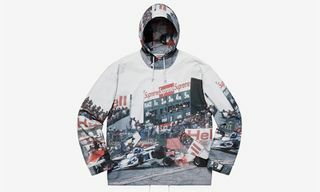 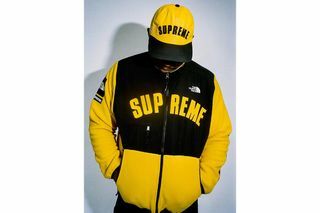 Buy: Supreme online and in-store in New York, Brooklyn, Los Angeles, London, Paris. 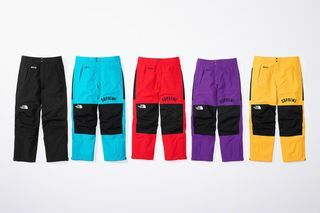 The Japan drop arrives on March 30. 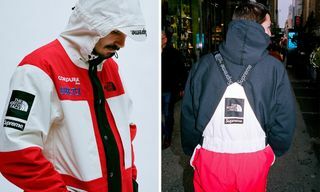 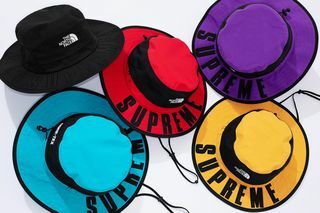 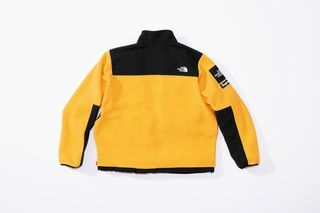 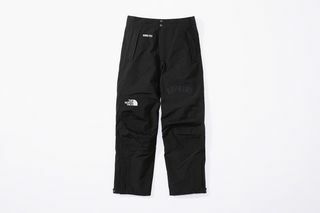 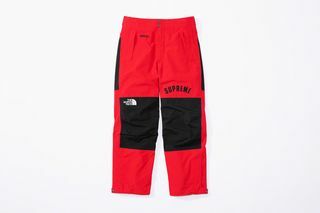 Editor’s Notes: Supreme and The North Face have once again linked up for a Spring/Summer capsule. 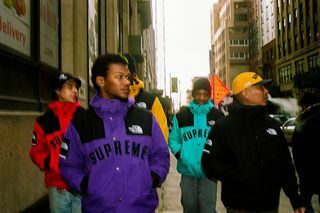 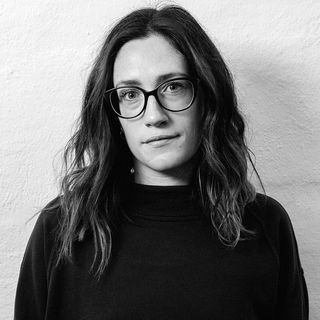 Tapping Na-Kel Smith for its lookbook, the collection comprises of a range of mountain-ready garms. 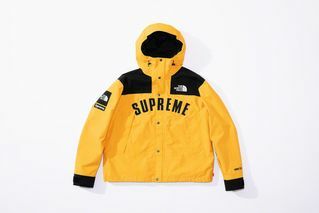 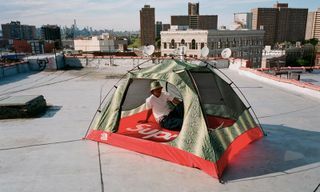 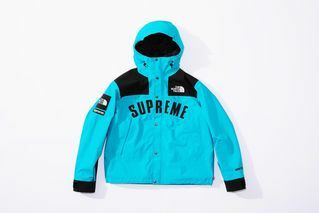 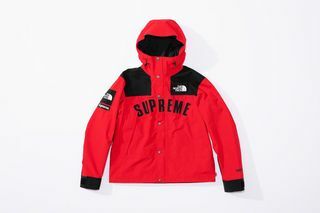 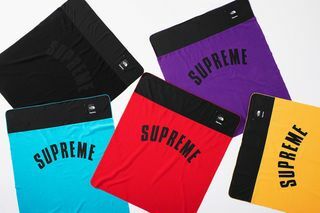 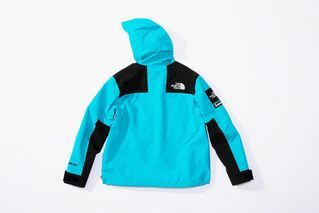 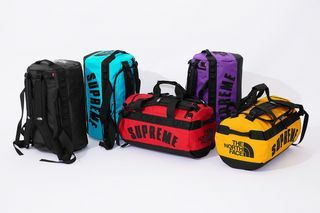 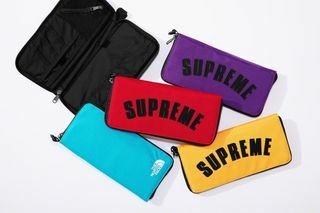 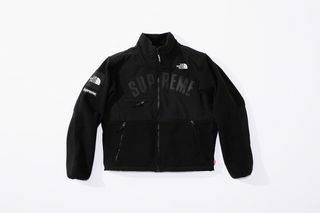 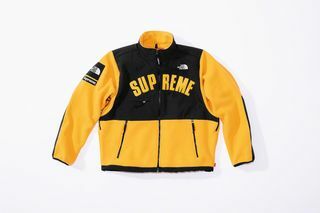 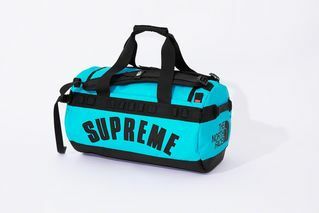 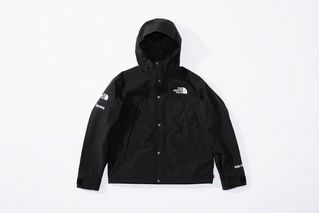 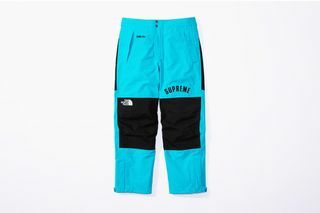 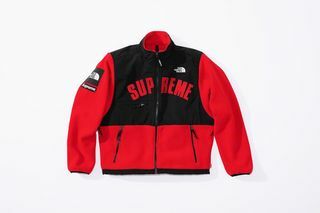 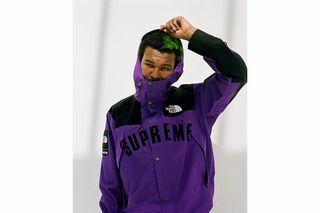 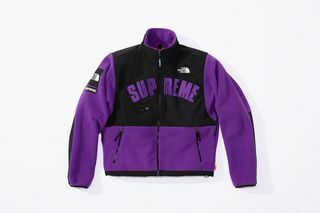 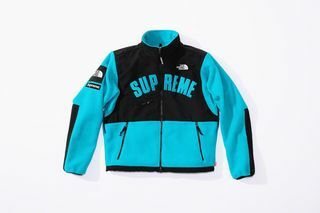 Alongside the parka and pants mentioned above, the release also includes fleece jackets featuring utility-style paneling and Supreme arc logo, base camp duffel bags, travel organizers, caps, breeze hats, and fleece blankets. 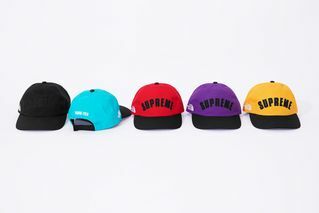 All items come in five colorways: purple, yellow, blue, red, and black. 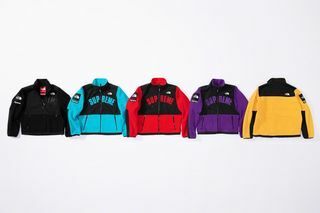 Pricing details are TBC.